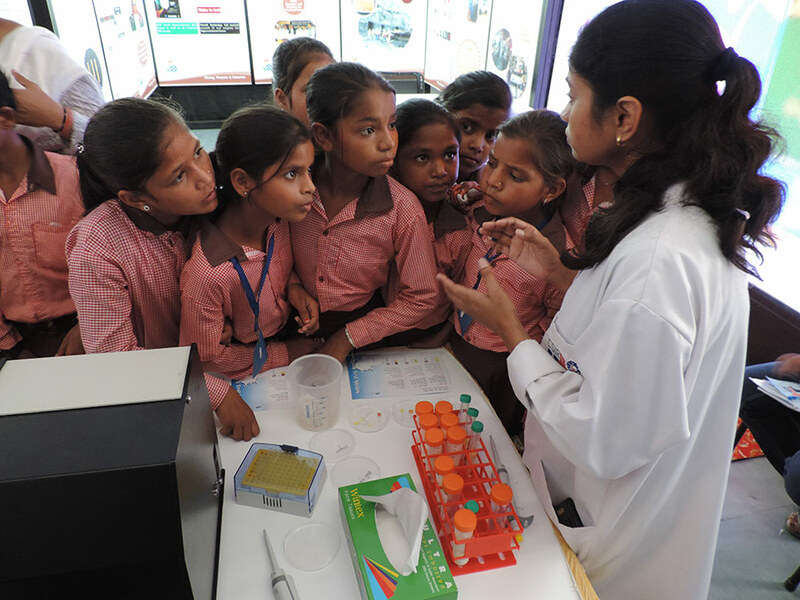 STEM mela is a community interface event organised at the village level. The event focuses on creating a broader STEM network at the village level who are mobilised to support children especially girls to pursue STEM learning. The event will showcase positive role-models for children, like teachers, scientists, academics and STEM professional and create visibility around children learning to a wider audience (community, parents, educational functionaries). It will provide an opportunity for children especially girls to display, demonstrate and talk on their STEM applied projects they have created. This will not only build the self-esteem of the learner but also help in breaking the ingrained gender stereotype that girls cannot learn Science and Math. The mela also looks at focussing to building community awareness on scientific rational approaches around their everyday problem and understanding ways to address them. Stalls reflecting on specific issues which are relevant to be discussed and understood at the village level. The themes that will be dealt with are health, nutrition, cleanliness/sanitation, soil, water, plants/animals. In these stalls’ children will pick on specific issues concerning their everyday living and will give a scientific, rational outlook on how to address this better. This will showcase the specific projects which children have been working on these themes throughout the year. The stalls can demonstrate charts, models, photographs, brainstorm, talk on the specific issues and solutions. The stall will focus on children demonstrating their models focusing on Science, Math, Technology and Engineering applications. A dedicated stall having an inductive and applicative way of doing maths. In this stall, students will demonstrate how the concept of math is used in everyday life. Students will present a play based on a specific theme like-superstitions of society, issues of community etc. This would be helpful to make the community awareness on issues concerning them. With the purpose to showcase students are learning computers and use technology, this stall will showcase technology-based projects done by children to visitors. A poster competition would be organized in which students will develop a poster on issues related to the environment, society or nation. This would help them to showcase their creativity, imagination and thinking.